Chol Soo Lee, whose 1973 wrongful murder conviction sparked an Asian American movement, died in December at 62. 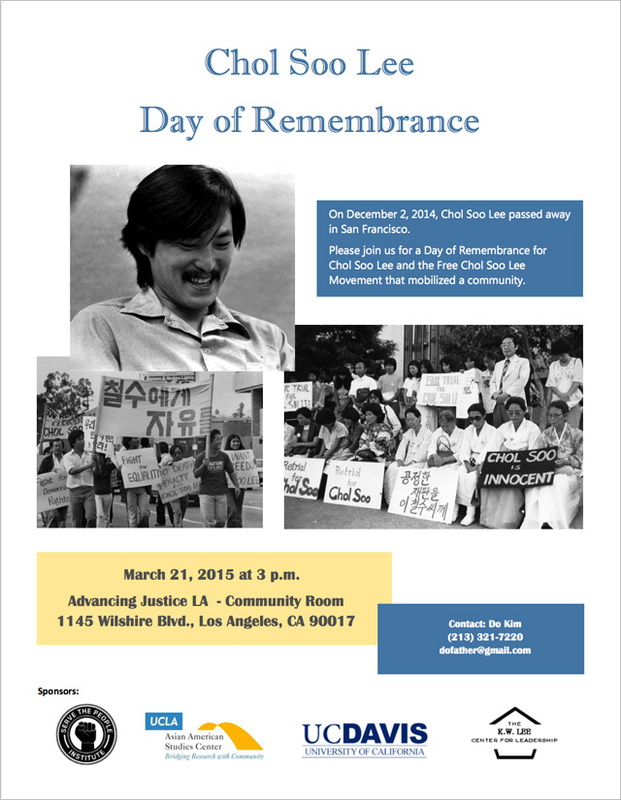 If you're in Los Angeles, Asian Americans Advancing Justice invites you to a Day of Remembrance for Chol Soo Lee and the Free Chol Soo Lee Movement. It's happening Saturday, March 21 at 3:00pm in the Advancing Justice - LA Community Room. For further information, refer to the flyer above.